1969 Chevrolet Chevelle Malibu BARN FIND! Drive Type: Turbo 350/ 10 bolt rear end. Exterior Color: Primer gray/ Blue. This Chevelle Malibu could be a great find somebody out there. 454 engine, turbo 350 transmission and from the looks of the ride, it will need a full restoration to bring it to show condition, but this is far from a wreck of a vehicle. ‘1969 Chevelle Malibu purchased from the original owner a few years ago. 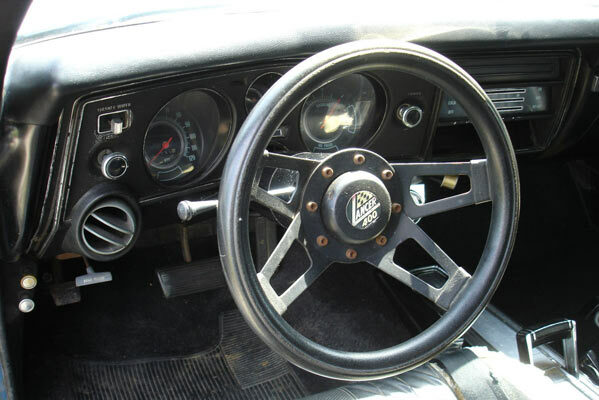 It is a running and driving 46 year old car. It was ordered from a Rockford,IL Chevrolet dealer in 1968. It was driven and enjoyed for years and then it was given to his son as a project car as a graduation present in 1985. 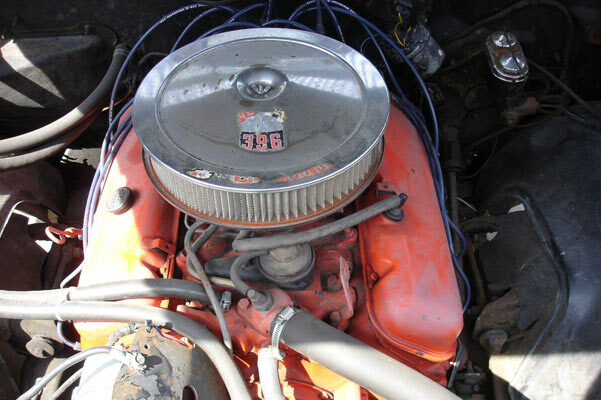 ‘As always priorities changed and it was parked in a machine shed and neglected until I purchased it a few years ago as a parts car for my original 1969 SS 396. I brought it home cleaned it up, got it running and drove it with the small block for one summer. As winters go here in the midwest I had a 1974 454 sitting in the corner that was a perfect replacement for the tired small block. I have been driving it with the 454/ Turbo 350 combination for the last two summers. Look closely at the pictures as the car is midwest rusty. The front fenders are rust free, as these were replaced by the original owners. It has a “rattle can” primer gray paint job from the original owner over the original blue paint with tinted windows all around.The interior has bucket seats with the center console and automatic shifter on the floor. It has a non tach dash, the radio hole is cut out but the car has no radio (who needs a radio with dual cherry bombs off of headers on a big block). The exhaust consists of headers, glass packs, straight pipes and turn downs just in front of the rear axle. It has power steering and non power front disc brakes with drum brakes on the ten bolt rearend. 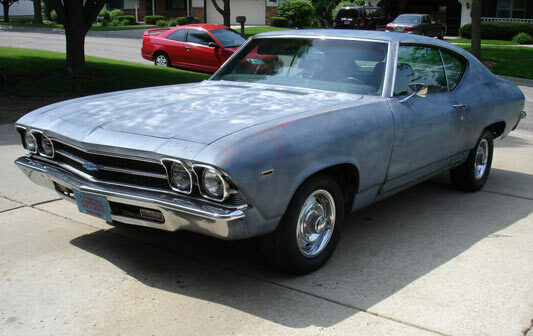 If you are in the market for a restoration project, this maybe the Chevelle or ride for you. 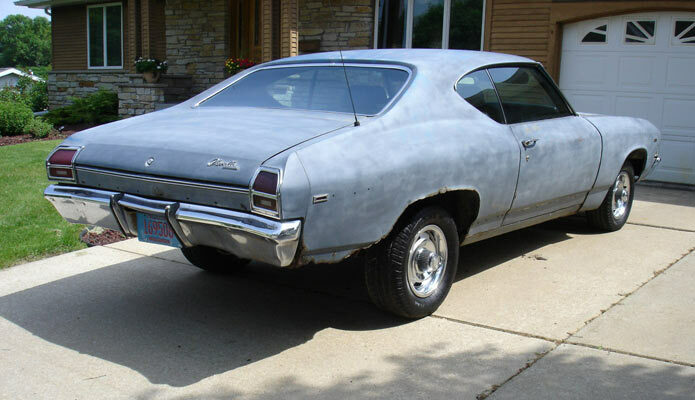 Related Items1969 Chevrolet Chevelle Malibu BARN FIND! now thats a find !! !